The Illinois River in eastern Oklahoma. Environment and agriculture officials in Oklahoma and Arkansas signed an agreement pledging continuing cooperation in developing a plan that addresses pollution in a sensitive watershed near the neighboring states’ border region, a deal sharply criticized by conservation groups as doing little to protect water quality. In a statement, signatories championed the Nov. 13 agreement as a commitment to collaborate on “science-based” monitoring, permitting and regulation of pollution in the Illinois River watershed, including contaminants from wastewater treatment plants and poultry grow-houses in Arkansas that flow into Oklahoma waterways and Lake Tenkiller. Oklahoma’s Secretary of Energy and Environment Michael Teague and Becky W. Keogh, director of the Arkansas Department of Environmental Quality, also praised the deal as supportive of industry and economic growth. Conservation groups said the two-state deal does nothing to control pollution or enforce water quality standards, namely Oklahoma’s limits on phosphorus, an element concentrated in waste generated at poultry grow-houses linked to algae blooms known to harm animals and plants in delicate river and lake ecosystems. Phosphorus often enters the watershed through runoff at grow-house sites and sites where the poultry waste is used as a fertilizer. Mark Derichsweiler, with the Sierra Club’s Oklahoma chapter, said the agreement creates new red tape and never-ending study of the watershed. Both conservation groups want Oklahoma to complete a pollution plan overseen by the U.S. Environmental Protection Agency, which state officials long sought, but backed away from in recent years. The new agreement directs the Oklahoma Water Resources Board to create phosphorous rules and revise state water quality standards, which are to be submitted to Fallin during the 2019 legislative session. The deal includes a protocol for issuing permits to facilities — such as wastewater treatment plants and farming operations — allowed to directly discharge pollution into the watershed. 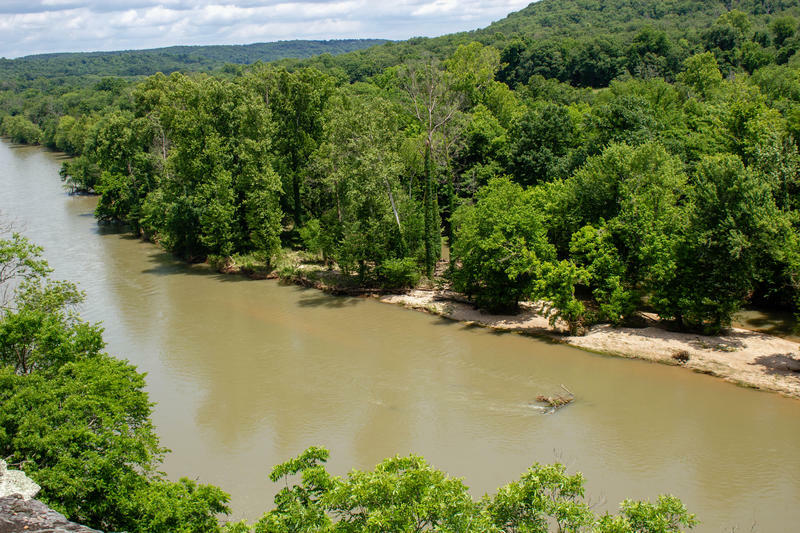 State officials also agreed that the watershed plan would promote “regulatory flexibility” and could include permit exemptions and other approaches to reduce pollution, such as nutrient-trading programs. 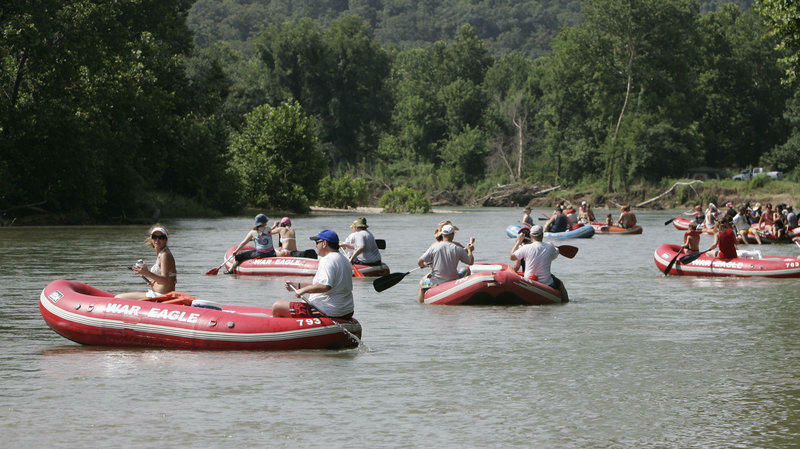 The Illinois River watershed has been the center of a protracted disagreement between the two states, tribal nations and local governments, and industry and environmental groups over how best to manage growth while protecting public health and the unique scenic beauty of the region, a tourism magnet considered economically vital to people who live and work there. The U.S. Supreme Court in 1992 sided with Oklahoma in a lawsuit over Arkansas wastewater treatment plants, which held that upstream states aren’t allowed to violate water quality standards set by downstream states. Former Democratic Attorney General Drew Edmondson in 2005 filed a lawsuit against poultry companies in Arkansas, accusing the firms of polluting the watershed with poultry waste. 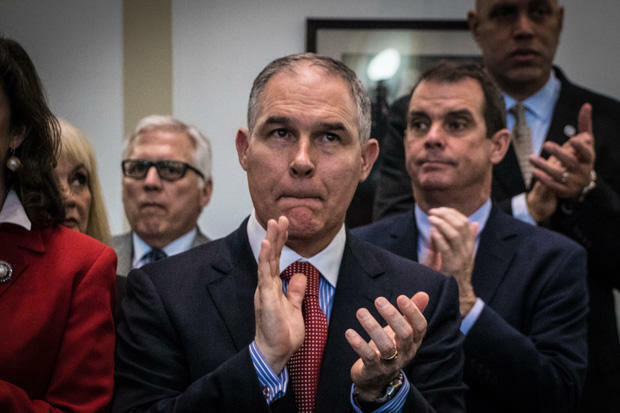 After the trial ended in 2010, the case stalled as Edmondson was replaced by incoming Republican Attorney General Scott Pruitt. The federal judge overseeing the case, Gregory Frizzell of U.S. District Court for the Northern District of Oklahoma, has not yet issued a ruling in the case. The new agreement touts progress and improvements in the watershed, but residents in eastern Oklahoma recently voiced alarm after a surge in new poultry grow-houses, which they say endanger the environment. In October, the Oklahoma Department of Agriculture, Food and Forestry temporarily suspended new permits for poultry operations until a newly formed task force could address residents’ concerns and examine the effects of the industry’s growth. As Donald Trump's EPA Administrator, Scott Pruitt is popular with conservatives for his aggressive rollback of Obama-era environmental regulations. He has also been strongly criticized for alleged ethics violations. But there’s another side of Pruitt that’s less well known.